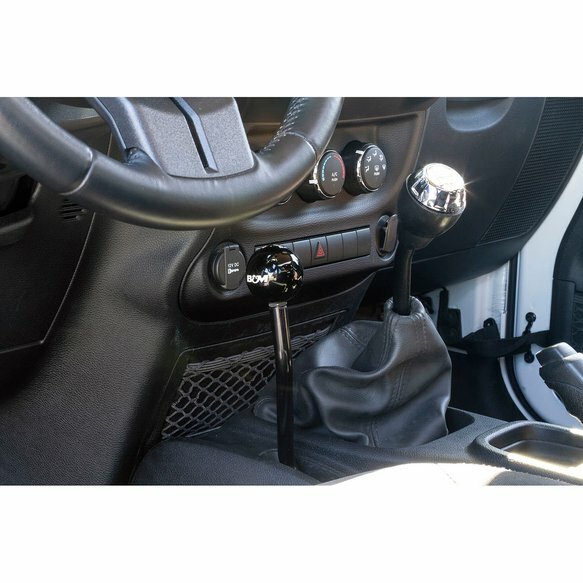 Fits 2007-2018 Jeep Wrangler JK Models. Does not fit JL Models. 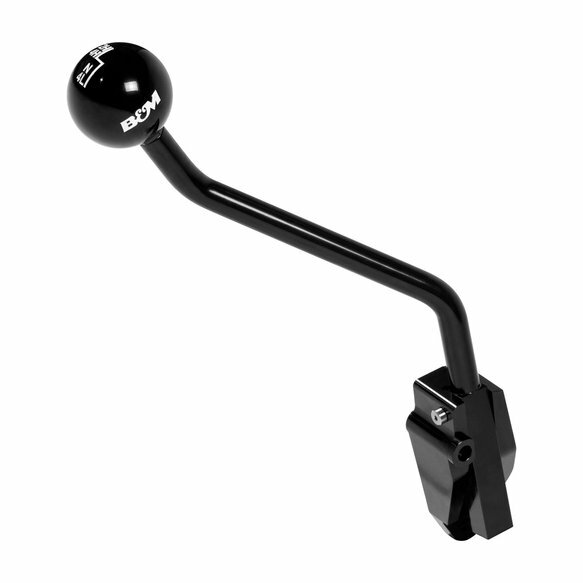 Introducing B&M's new extended transfer case shift handle for 07-18 Jeep Wrangler JK models. 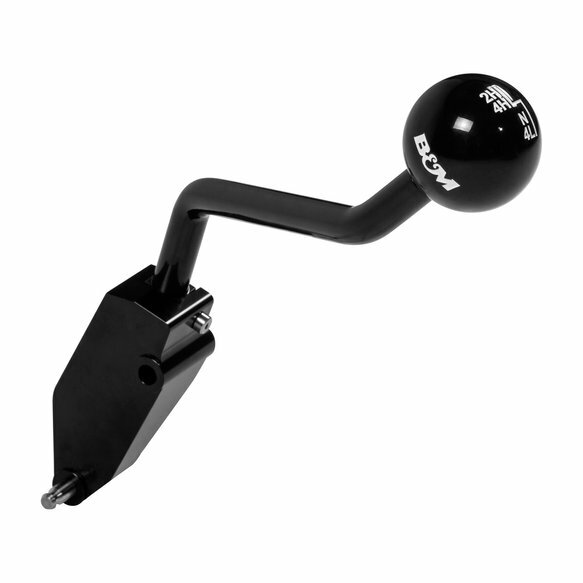 The extended handle allows for easy reach and operation while allowing shifting in/out of gear ranges without having to reach down. 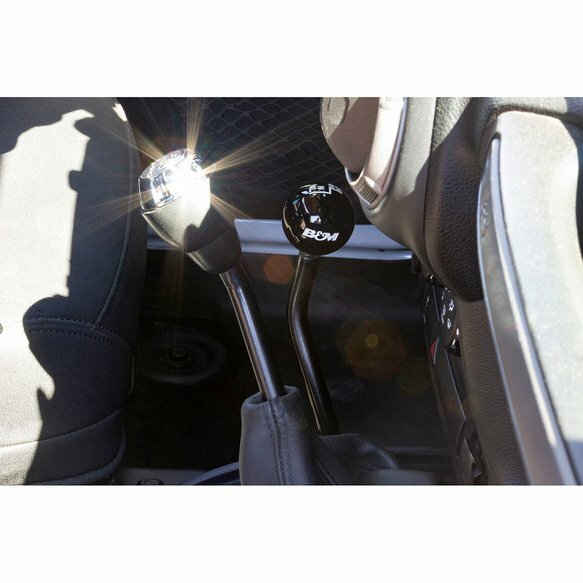 The extended length also provides additional leverage which reduces the effort required to shift. 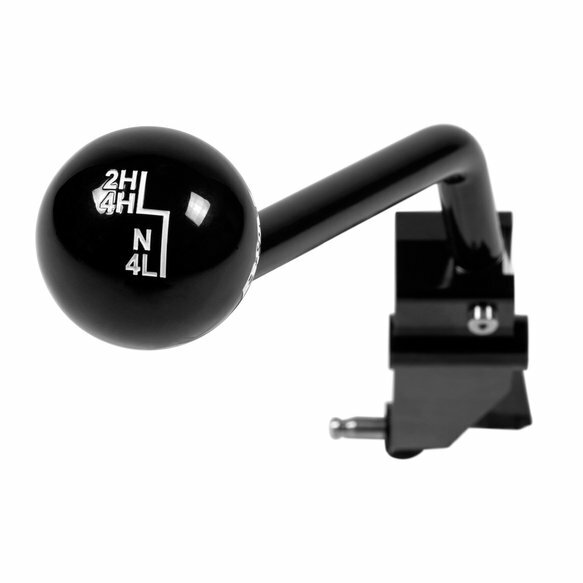 This handle is manufactured from machined billet aluminum and 4340 steel, replacing the weaker plastic OE unit. 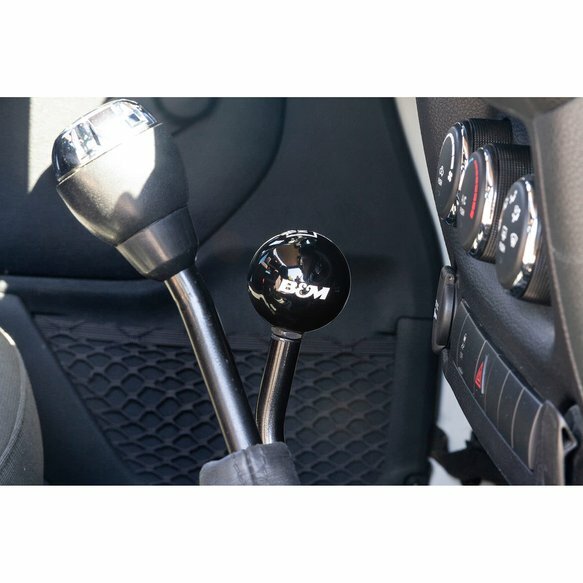 Includes a black shift knob and a very easy direct fit-installation.